In 1957 the Tulsa District Board of Missions envisioned a strong church to serve the area near 56th and South New Haven in Tulsa. In the summer of that year, the Board of Missions appointed Reverend Joe R. McArthur to contact families in the vicinity of Holiday Hills, Tanglewood and Tip Top subdivisions to organize the initial congregation for the church. The first planning meeting was held in the home of Jacque and Beverly Vincent. This was followed by other meetings during August and September in which interested families gathered in the home of the McArthurs or the Vincents. 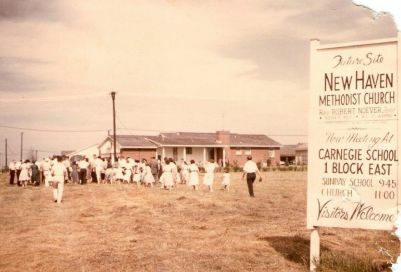 On September 15th, 1957, New Haven Methodist held its first Sunday School session and worship services in the pre-fab building at Carnegie Elementary School. There were approximately 30 adults and children in attendance. That same year, the Tulsa District Board of Missions purchased a 3.4 acre at 56th Street and South New Haven for $18,500. The property was then a mile outside the city limits. Some members wondered if the area’s population would grow rapidly enough to support a church building projected to cost $90,000. 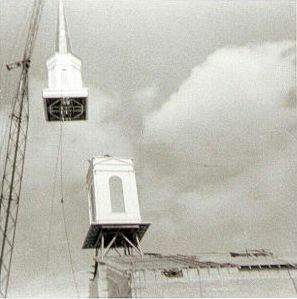 This initial congregation was known as the New Haven Methodist Church until 1969 at which time it became known as New Haven United Methodist Church. On charter Sunday, April 6, 1958, there were 54 members. Our building was completed in phases: first education wing (1961), second education wing (1962), sanctuary (1965), education-fellowship wing (1975). 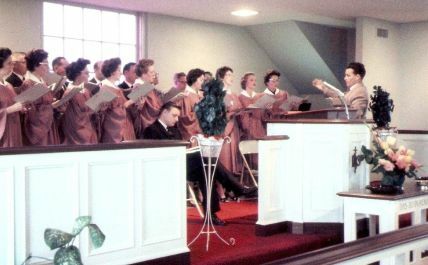 The first service was held without either a piano or a pianist. After a few Sundays of singing acappella, a piano and faithful pianist named Genevieve McAllister were secured. Bob Ellis became the first song leader. Our church program has grown over the years. One of the most important additions was our Day School, which started in 1965.